While many people associate metal stamping with heavy industrial processes such as automobile manufacturing, it’s actually more frequently employed to produce small, fine, and precision parts. Many parts used in the lighting industry, for instance, are manufactured via metal stamping. This process is used to create components for both residential and commercial lighting products, as well as heavy-duty industrial lighting equipment. Despite these products’ varying geometries, they can all be manufactured with metal stamping. Metal stamping can be used to meet a diverse range of needs including simple, two-dimensional products such as plates, as well as geometrically complex components such as clips for lights. As with any manufacturing process, certain materials are more suitable for metal stamping production than others. In the same way, certain metals are better suited for lighting applications than others. The overlap between these materials comprises the five most commonly used stamping metals for lighting applications. Aluminum: A lightweight, low-density metal with a high strength-to-weight ratio. It’s also very ductile and easy to machine, making it ideal for metal stamping. Copper: One of the first metals ever used by humans; it is malleable and ductile, which makes it exceedingly easy to work with and machine. It also has a high electrical conductivity, ideal for internal lighting components. Brass: An alloy of copper and zinc. Brass generally has a high malleability, but this and other properties depend on the exact copper-to-zinc ratio. Cold Rolled Steel: It is further processed after the initial hot rolling process. 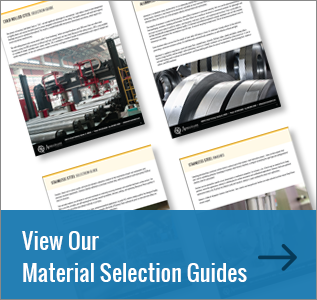 Cold rolled steel maintains tolerances well, can accommodate a wide range of surface finishes, and can have higher yield and tensile strengths than hot rolled steel. Stainless Steel: Encompassing many steel alloys, stainless steel has properties and uses varying greatly depending on which alloying materials are included in a particular blend. Stainless steel is known for its high strength and corrosion resistance. Since 1981, American Industrial Company (AIC) has been a leading precision metal stamper, producing parts of unparalleled quality and reliability. We have the ability to manufacture a wide range of lighting parts to meet your unique meets. From ceiling light fixture parts, clip-on light fixtures, suspended ceiling light fixtures, recessed lighting clips, and recessed lighting spring clips to ceiling light mounting plates, LED light clips, light cover clips, and metal light clips, we’re proud to offer an extensive product selection. To learn more about how metal stamping be used for your lighting products, or to discuss your project with one of our lighting industry specialists, contact us today.